Design and the whole structure of this theme is built to scale on all browser widths/resolutions and on all mobile devices, along with different screen sizes. Theme has been built using the latest HTML5 standards and will fully embrace the forthcoming browser innovations. It looks even better from mobile devices and offers your customers the best possible mobile experience. 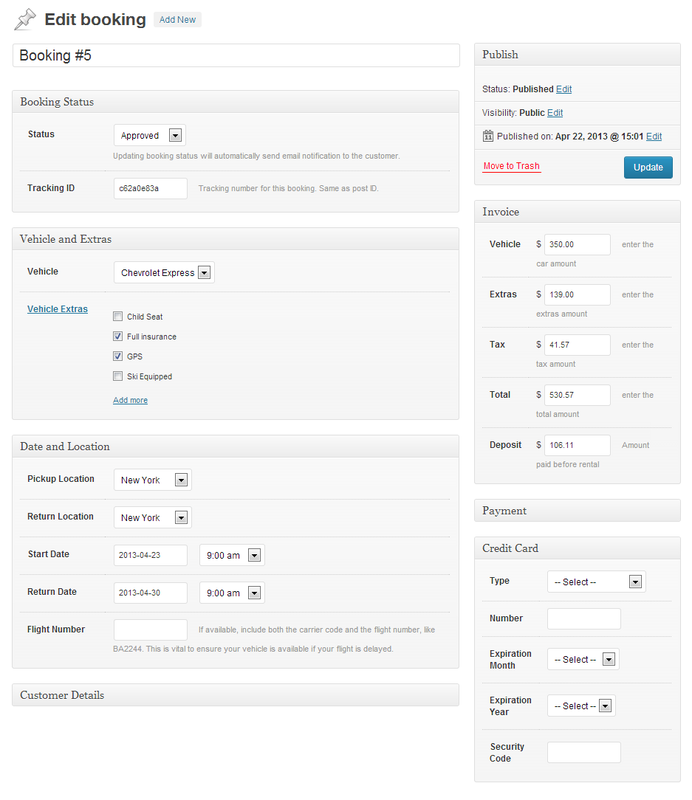 Easily accept bookings for you car rental agency with fully featured booking script that makes car reservations enjoyable for your customers. It is highly customizable and works even better on mobile devices. Try the brilliant booking script and you will stop searching for another one. Pricing is easy to set up and allows you to charge differently, when your customer books for more days. You can even charge seasonally, from one date to another. This is great if your rental agency operates inside tourist resort. New! You can now charge per hour as well. 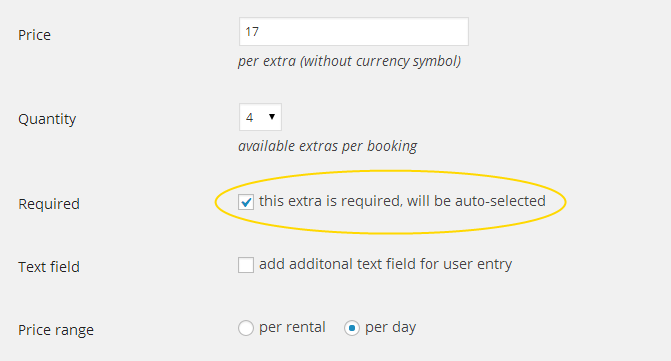 Not only can you set pricing, you can also set custom extras and per each vehicle. This feature adds a lot of value to your customers and puts your car rental agency ahead of competition that usually offers extras without the ability to set the pricing structure. Your customers are automatically notified via e-mail when their booking is received, confirmed refunded or cancelled. You can customize the e-mail notifications easily by modifying the e-mail templates in the booking settings. You can now also set up email reminders and notify your customers prior and after the booking event. Not only can you rent individual vehicle, you can also rent multiple vehicles at the same time. If you manage a large fleet of same vehicles, you can now set up only one and apply stock to it. Script automatically handles the stock management, so stock decreases for booking period that is approved. Managing extras with Car Hire is easy and very powerful. Not only can you add custom extras to each vehicle, like “Passanger Insurance” or “Extra child seat”, you can also add mandatory extras, like “Fees”. 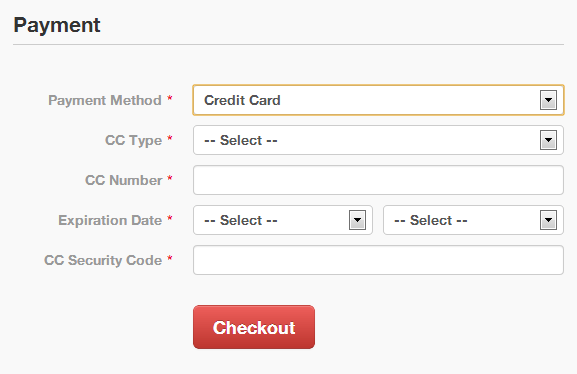 You can also add additional text field to extra, like customer-defined delivery location. Theme styling is built upon the latest version of Twitter Boostrap framework, which is sleek, intuitive, and powerful front-end framework for faster and easier web development. It gives you opportunity to enhance your website styling. It is beyond amazing, just add some CSS styles to your website and that is it, your site looks prettier than ever. Developed and tested with WPML 3+ (WordPress Multilingual Plugin) and Polylang plugin. Simply add translations of posts and pages and start accepting bookings from international clients immediately. Apart from that, all options in the WordPress administration panel are easily translatable into any language you want – in case your native language is other than English. You may style your site however you want, however, we have included 5 predefined skins to choose from. Match your brand design with one click and use simple design editor to style the rest (fonts, colors, backgrounds, borders,…).